Former Super Eagles of Nigeria Captain and Head Coach, Sunday Oliseh has been named the new Head Coach of Dutch football club, Fortuna Sittard. Fortuna Sittard is a second division side in Holland and recently made the announcement via their website. 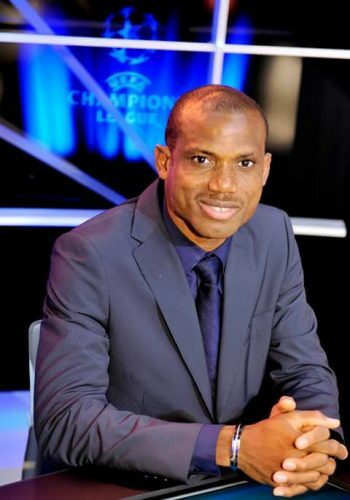 Oliseh who has already watched all of the club’s games in the past few weeks, has put pen to paper, for a two-and-a-half year deal at the club. The 42 year old who quit the Nigerian National team Head Coach job in March, will resume duties as Head Coach, of Fortuna Sittard on the 2nd of January, 2017. According to the club’s website, the Chairman of the club Isitan Gun is pleased with the arrival of Sunday Oliseh to the team. Fortuna Sittard is presently 18th on the second division table, as Oliseh is set to get to work with the team. Oliseh replaces former Head Coach, Ben Van Dael, who only earned 5 wins from 19 games this season. “We were looking for a Coach, who has an attractive vision of the game, combined with the sheer will to win. In Sunday Oliseh, we think we found this”, the club’s website said. Club owner, Isitan Gun also said Oliseh was chosen being a young and ambitious coach coupled with the fact that he has vision, that the young players can look up to. Fortuna Sittard with 15 points from 19 matches will meet Achilles 29 in their next game on January 13, 2017.